This weekend I decided to do a quick and easy project that I think is a great gateway craft for beginning DIY-ers. It's basically a method for taking any cute little thing you find -- novelty buttons, beads, what have you -- and turning it into a pair of earrings. It's ridiculously easy and cheap, but so many people don't realize how simple it is to make your own earrings (I know, I have a pair of earrings made from pink elephant novelty buttons that people used to ALWAYS ask me about, and when I told them I made them myself they looked at me like sorcery was involved). 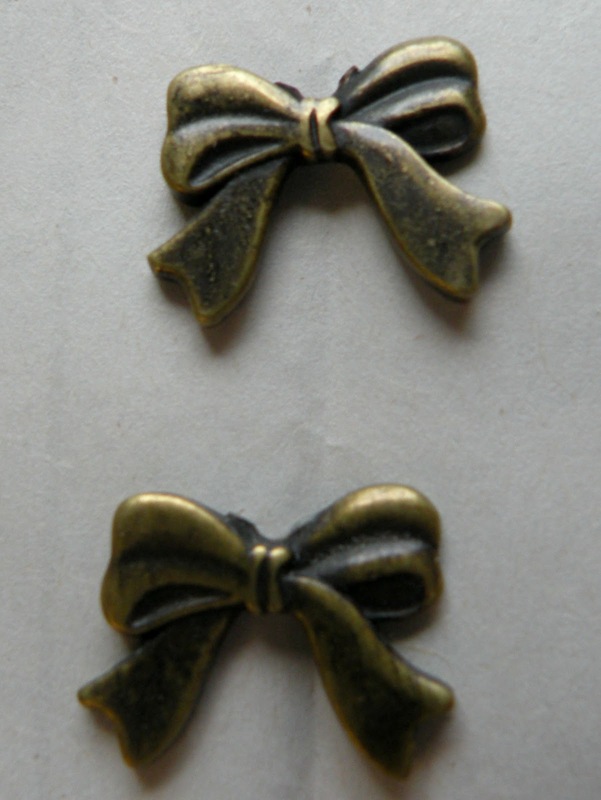 Here's all I did: took some cutting pliers and snipped the loop off the top of these two bow charms. If you're using buttons that have a loop on the back, you can easily do the same to snip the loop off. If you're feeling like a perfectionist, you can take a file to it to get the back really super even. I didn't bother trying to file the edges on these bows because A) they're tiny, so there's really no reason to worry over every tiny detail, B) I didn't feel like it. Hey, I'm just being honest with you. 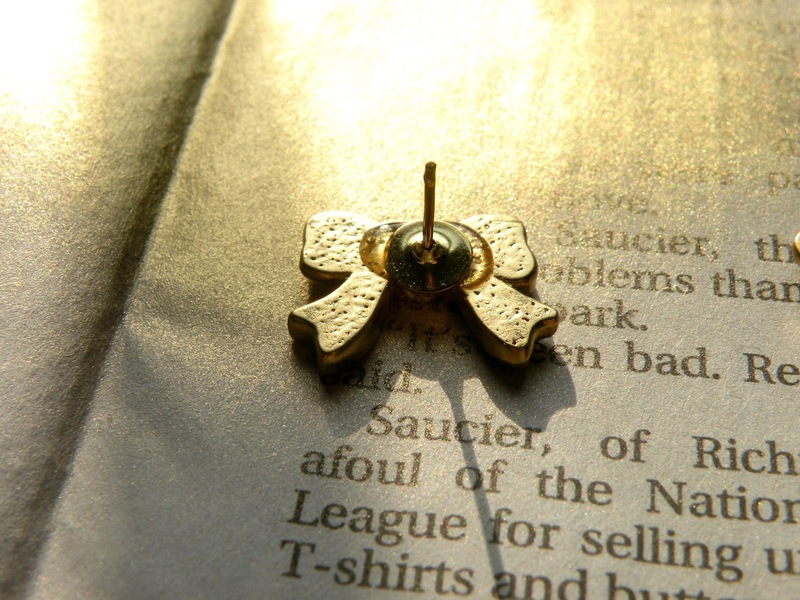 I also decided to paint them gold, because although I like this finish sometimes, it wasn't what I wanted here. And dropped the earring post into the epoxy. Then scooted it around until it wouldn't be visible from the front, and let it dry for a good long while. Then...ta-da! 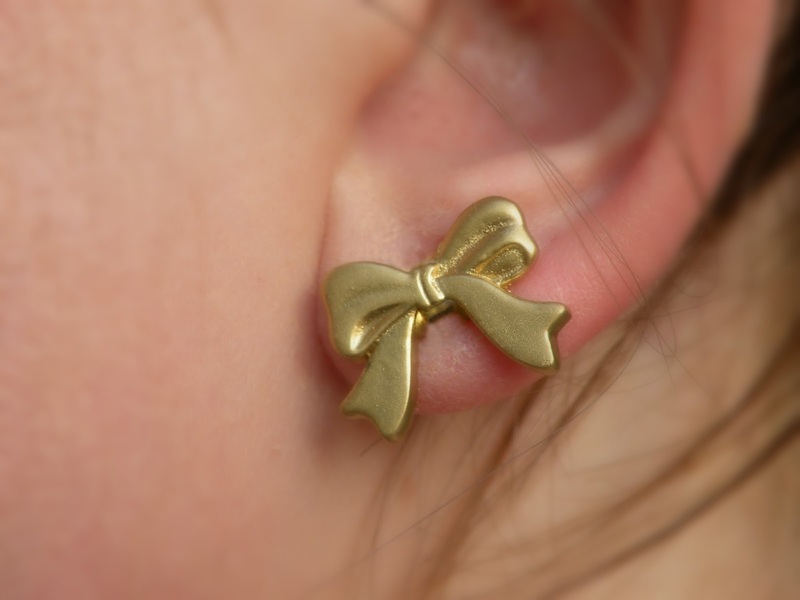 So easy, and you can really take this basic method and throw some imagination at it to make practically anything into a pair of earrings.